Exclusively Ours! Lead & Nickel Free!! 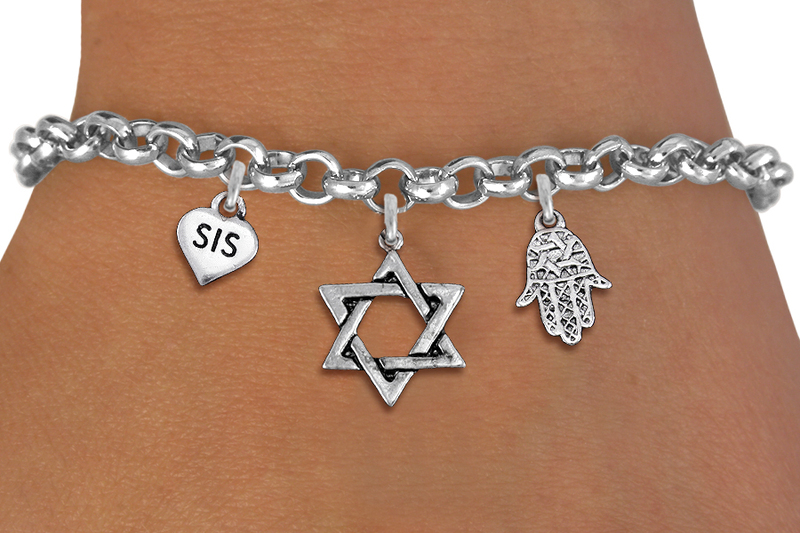 Detailed Antiqued Silver Tone Etched "Sis" Heart And Hamsa Hand Charms Frame Silver Tone Star Of David Charms Comes On A Lobster Clasp Or Toggle Chain Bracelet. 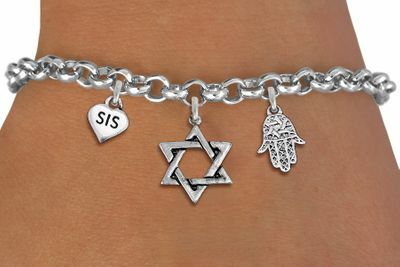 Great Gift For Bas Mitzvah!